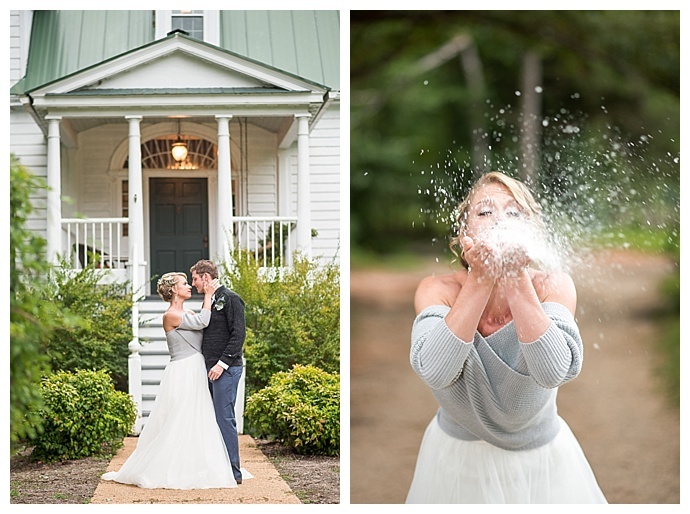 Now that it’s October, and a shift in the air is lending itself to cooler days, we’re reminded that winter is just around the corner. 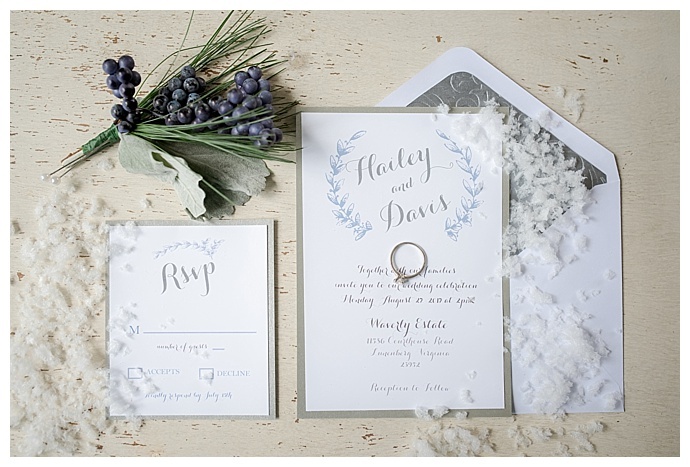 And while us winter-enthusiasts rejoice, we know not everyone is as ready for the snow as we are. 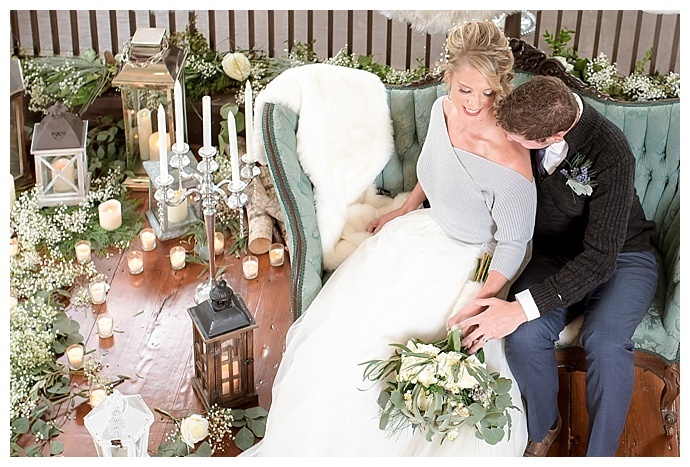 That’s why today’s wedding inspiration, which transports us into a dreamy winter wonderland in the quiet Virginia countryside, is the perfect taste of a winter romance without the frigid cold. 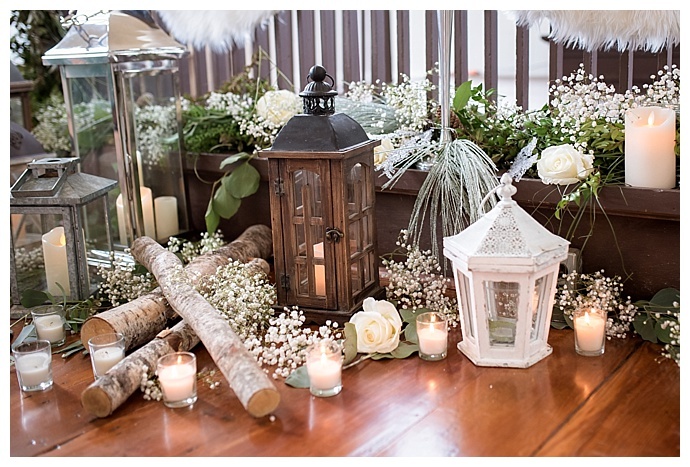 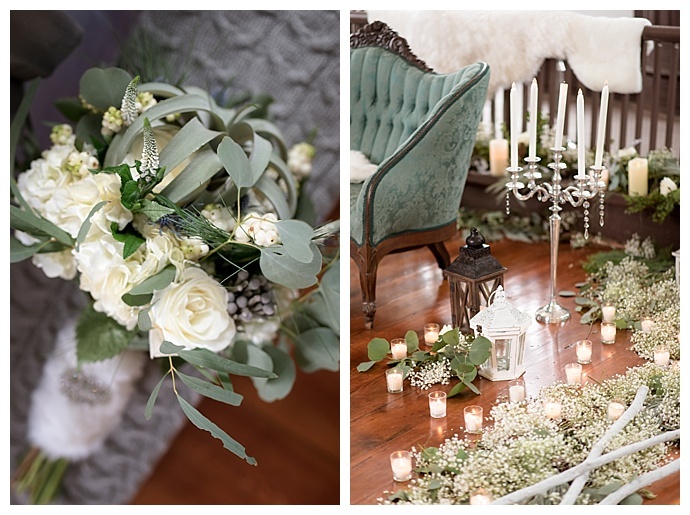 Captured by Lindsey Lyons Photography, delicate baby’s breath sprinkled between pillar candles and rustic lanterns create a cozy setting inside the charming property at Waverly Estate. 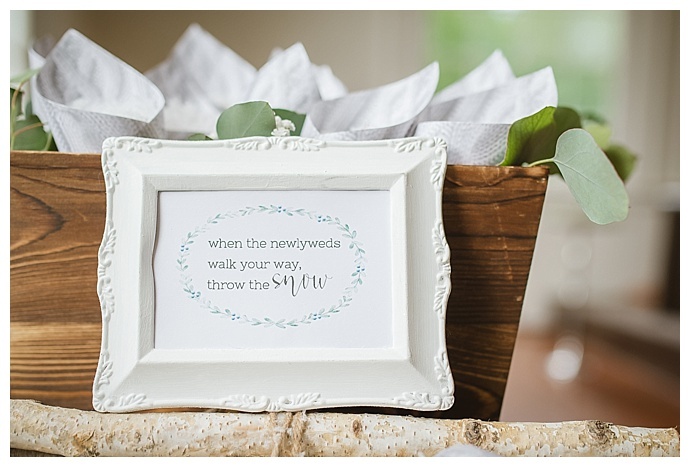 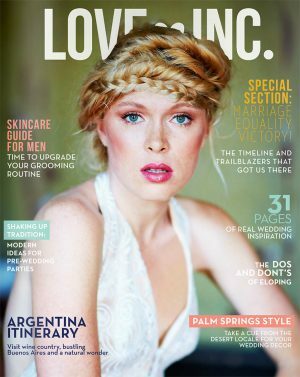 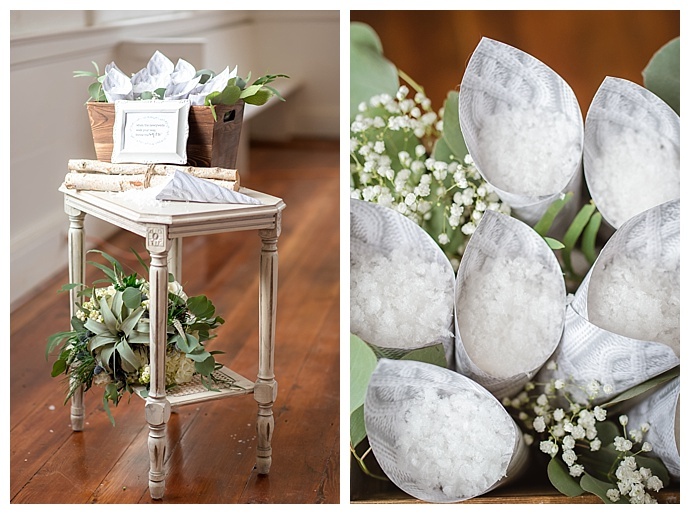 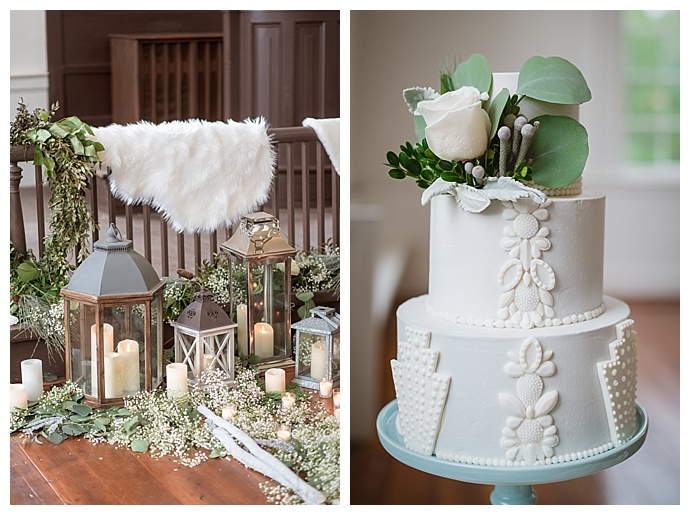 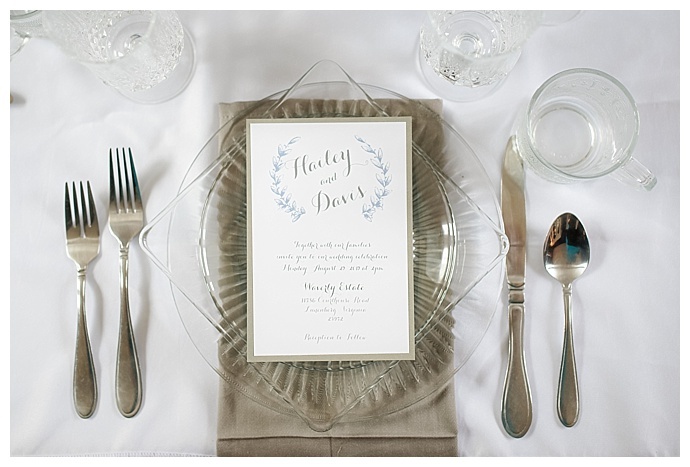 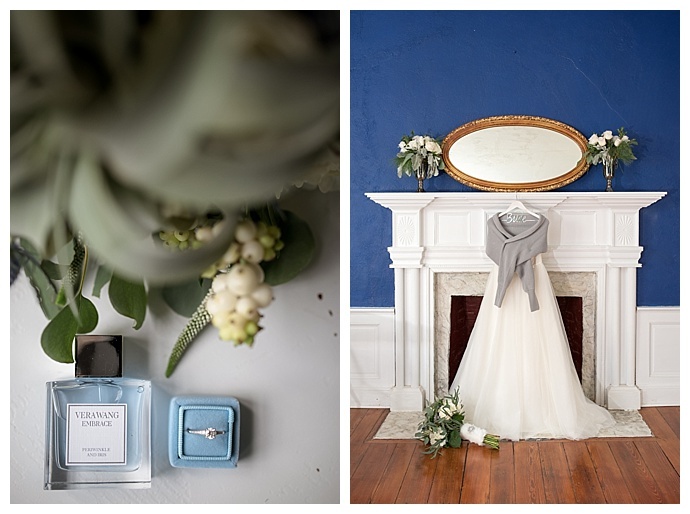 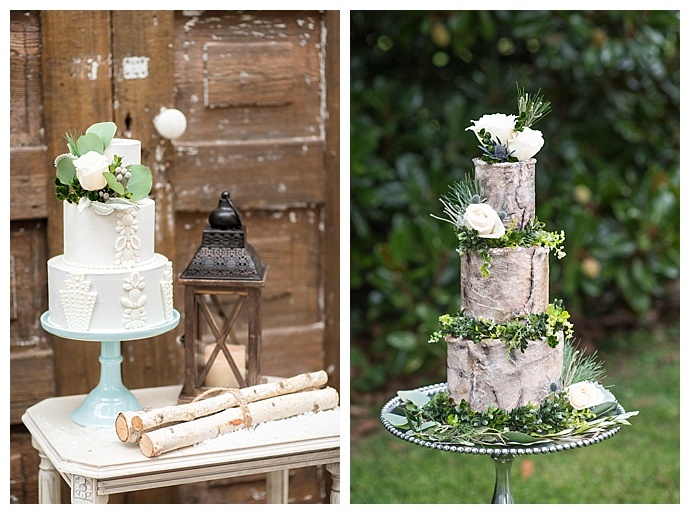 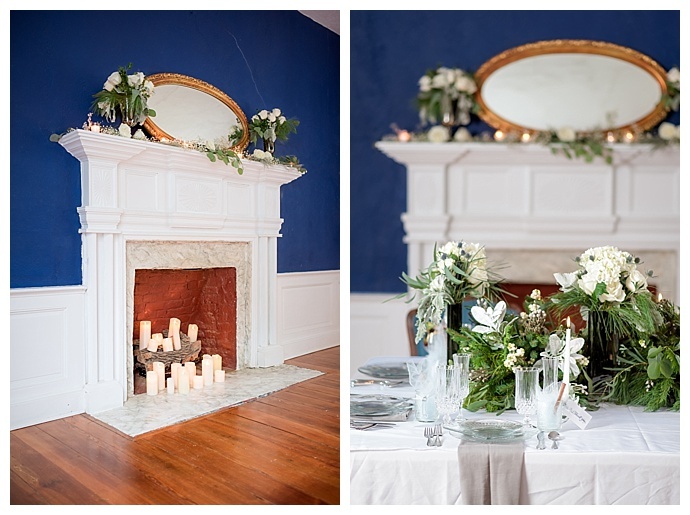 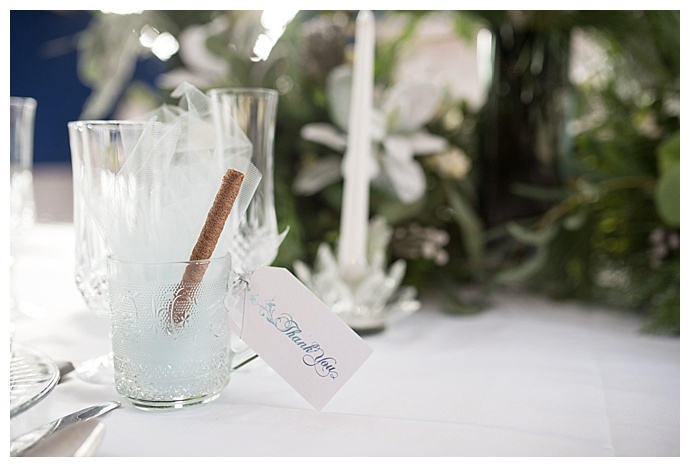 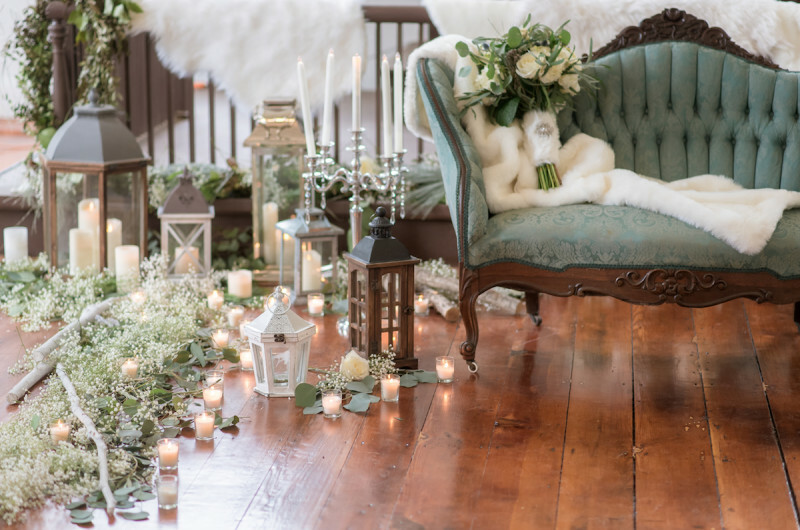 Straying from the traditional winter color palette of deep cranberries and evergreen, local creatives opted for hues of dusty blue, ivory, sage and gray, accented by lush greenery and white blooms. 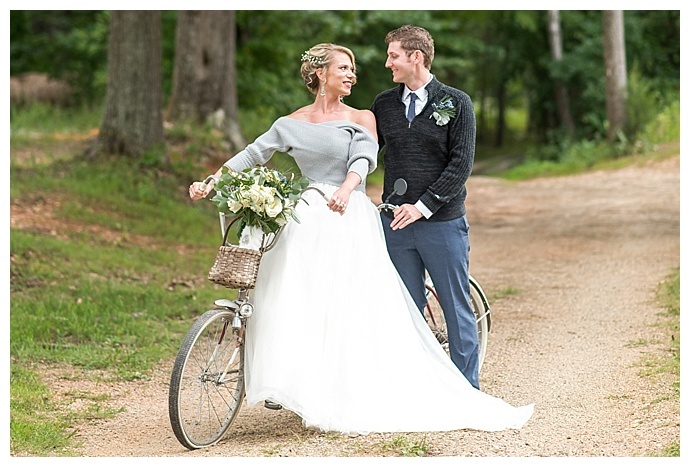 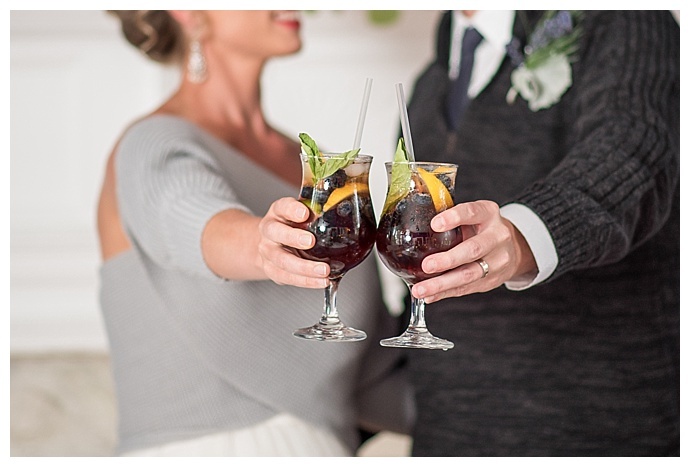 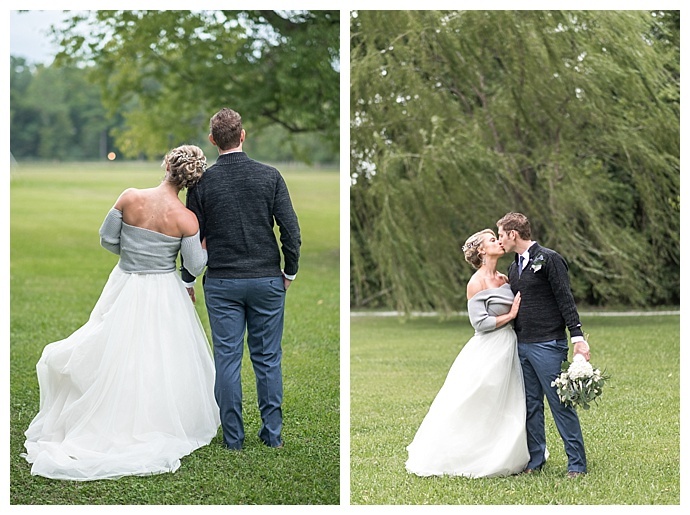 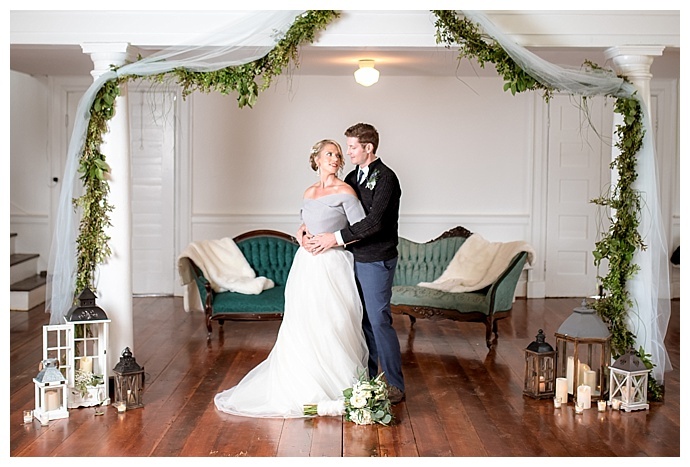 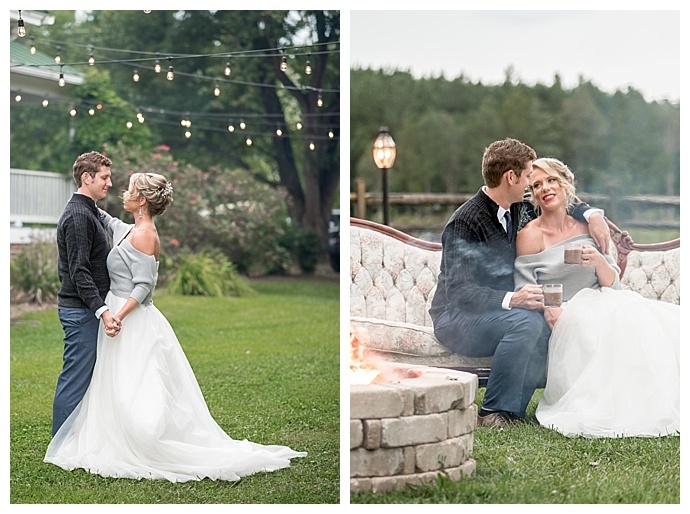 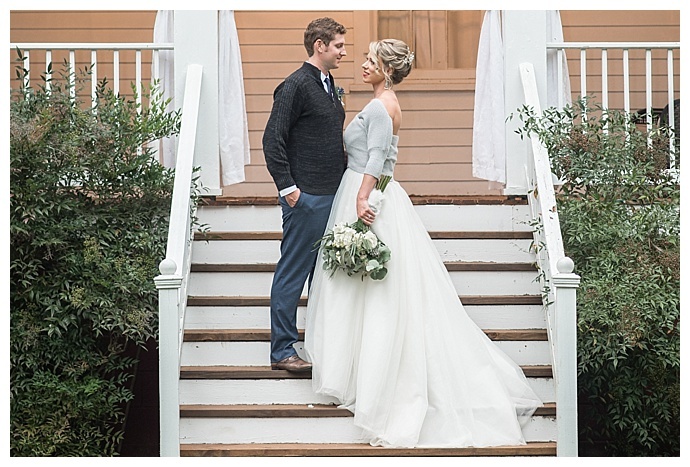 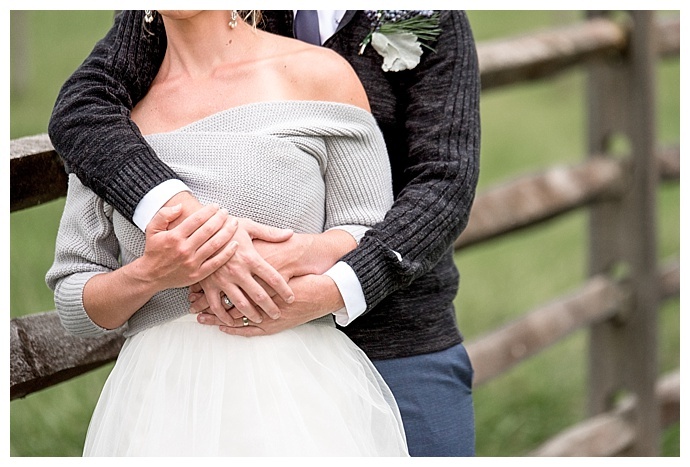 For the bride, a chic off-the-shoulder sweater paired with a flowing tulle skirt complemented the groom’s navy pants and zip neck sweater, which is the perfect choice for an intimate winter celebration on the scenic 200-acre cattle farm. 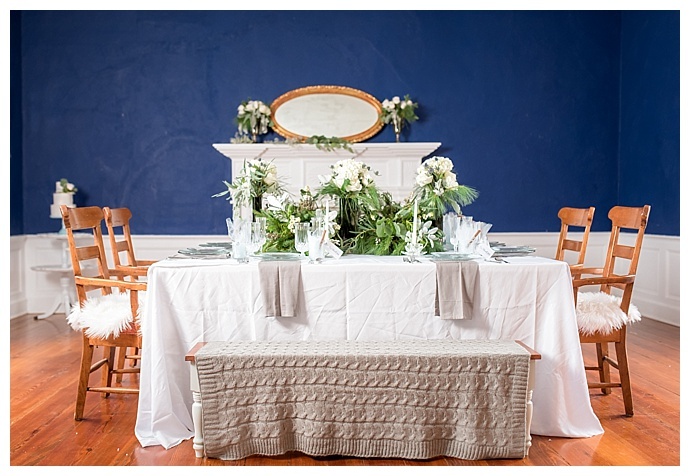 Waverly House from Brian Charles Films on Vimeo.